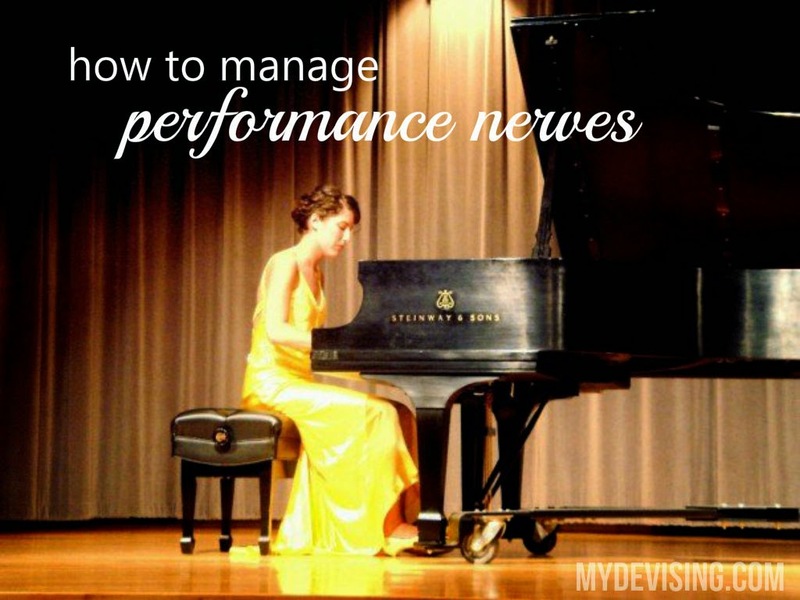 Today, I'm over on Valerie's blog talking about dealing with and managing performance nerves. I was a bit of a nervous performer as a child, but through my high school and college years, I gained some really wonderful knowledge on how to feel successful and confident in performance settings. I hope you'll check it out! Rachel from A Mother Far From Home wrote about something so perfect for my current situation: preparing your child for another baby. With all of you other ladies I know who are pregnant with #2, I hope this post will be helpful for you too! "Preparing Your Child for Another Baby"
Isn’t it amazing how quickly we settle into a rhythm and routine when our firstborn arrives? Things calm down, the baby sleeps through the night, and the days are fairly predictable. Then, we get pregnant again. How will I cope? How will my child cope? I had these same questions. I even worried how I’d be able to love a second child as much as I loved my first. In fact, I worried how I’d love a third child as much as I loved my first two. My heart was so full I didn’t understand how it could expand any more. I think it’s so important to help prepare our children for a baby, and if you do Babywise I think you’re already on an easier path. 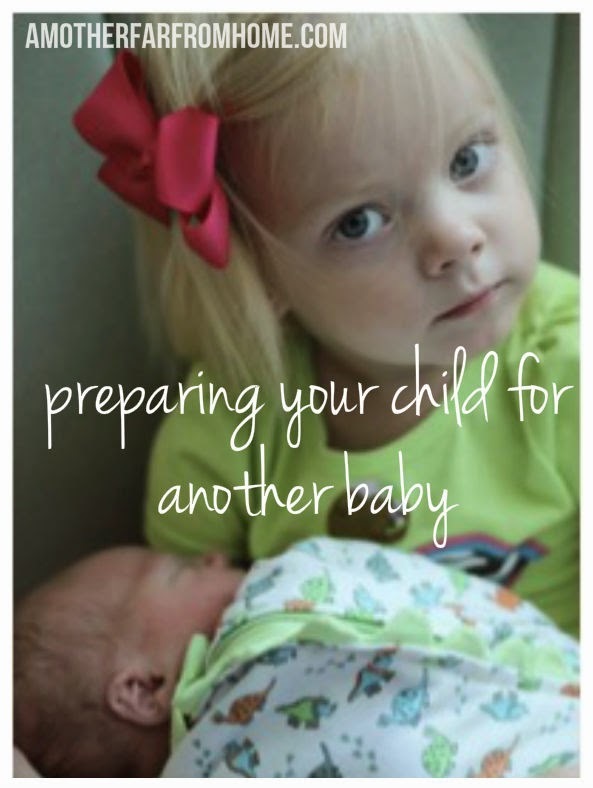 Here are some tips to prepare your child (or children) for your newborn’s arrival. 1. Establish a good routine. One of the best parts about following Babywise is your child is used to routine. And part of their routine may include independent play, which is immensely helpful when you bring home a newborn. I would always put my toddler(s) in independent play when I needed to feed the baby so I’d have some uninterrupted time. Someone suggested we buy a doll and, with my firstborn, practice changing a diaper and holding the baby. We spoke about “the baby” and how we needed to take care of it. If she tried to grab the baby we’d say “oh no, we must be gentle.” Now, we didn’t carry it around with us for a week like those home-ec dolls (did those really exist?) but we did try to get the point across that a baby takes some attention. 3. Depending on the age of your child, prepare them verbally. I’m sure by now you’ve already discussed that a baby is growing in your belly, so just take it a few steps further. When putting together the crib, explain this is where the baby will sleep. Get out a few outfits for the newborn and explain how the baby will wear these when they come home with mommy. You can get as detailed as your child’s understanding allows, but I think it’s healthy and wise to prepare them for what’s to come. 4. Develop a routine that will benefit all and institute it before the baby arrives. If I needed to tweak our routine for a newborn (and you always do at least a little) I’d try to do so before I brought the baby home. I would feed the baby during independent play and toddler naps. This left me able to give one-on-one attention while the newborn was sleeping. This is a great way to gently introduce the baby into family life. Newborns sleep most of the day away, anyway, and my kids honestly didn’t bat an eye with new babies until at least 3 months when the baby was awake more often. Think of your other children when finding a routine. Allow them some time and space to ‘grieve’ their perceived loss of status. A friend of mine and mother of 5 said her firstborn was affected with the addition of each baby. The younger ones didn’t bat an eye, but every time a new brother or sister came the oldest had the hardest time adjusting. If you’re into Birth Order, you’ll know why. No family is ever fully prepared to bring home another bundle of joy or two, but everyone adapts. Because honestly, who doesn’t love a baby?